When most people think of going to the dentist, it’s usually for a cleaning, to fix a cavity or even for more serious issues such as tooth pulling or a root canal. This is why many don’t like going to see one. 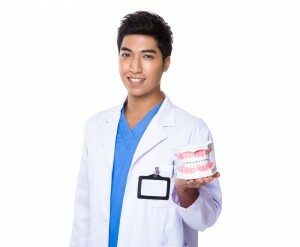 But dentistry also involves help you improve your appearance – namely your smile. This branch of dentistry – known as cosmetic or aesthetic dentistry – is a beneficial for your self-esteem as cosmetic surgery can be. People who are less self-conscious about their smile tend to do it more often – leading to a healthier well being. Cosmetic or aesthetic dentistry is a branch of this discipline that deals with the restructuring, reconstruction and implanting of either prosthetic or natural teeth meant to improve your overall physical appearance. These include restorative or reconstructive procedures for chipped teeth, lost teeth, malformed or improperly grown gum lines and the like. It can involve implantation, orthodontics, and even general dentistry practices such as teeth cleaning or tooth removal. In the Detroit, MI area, it’s not too hard to find a dentist’s office, but an office that also specializes in cosmetic dentistry isn’t as common. That’s why it’s important to do your research ahead of time to find a provider that might specialize in any cosmetic dentistry procedure you could be interested in to improve your appearance. With this in mind, here are three of the best dental health providers who are also well versed in cosmetic and aesthetic dentist practices who might be able to help you look your best. Serving the Detroit, Grosse Point Michigan areas for more than 50 years, DiLorento Dental Care specializes in superior cosmetic dentistry. They offer a wide range of cosmetic dentistry services such as porcelain veneers, instant orthodontics, implants, teeth bleaching, advanced restorative dentistry, bridges, bonding, dentures, full mouth restoration, and even TMJ (temporomandibular joint or jaw) treatments. Serving the Troy Michigan area, Cosmetic Dental Institute has earn many prestigious awards in their field and have even been featured on the cover of Contemporary Aesthetics Magazine. They offer a spa-like setting and their cosmetic dentistry services include: Porcelain Veneers, Invisalign invisible braces, cosmetic bonding, full mouth reconstruction, porcelain crowns, dental implants, teeth whitening, fillings, and use state of the art digital X rays to pinpoint your specific area of concern. Flossin’ In Clawson is a hip, professional cosmetic dentistry office, run by Alan Grodin, known as “The King of Veneers” and has been serving the greater Detroit area with aplomb and verve. They specialize in dental implants, teeth whitening, porcelain veneers, under armour mouthwear, anti-aging procedure for your gums, Pureworks, and general dentistry. Make sure that you have all your insurance information and can pay in cash in case any office cannot accept credit or debit cards. Also, if you’re going to go under some kind of sedation, make sure you bring someone with you to drive you home. Additionally, be sure to choose a cosmetic dental professional that is closest to your area in or around Detroit so you won’t have to travel so far from that office to your home afterwards. Finally, make sure that whichever office you choose to go is well-versed in exactly the kind of cosmetic procedure you’re hoping to undergo. Looking for pediatric dentists in Detroit city area? Click here.